A Humboldt icon, the 102-year-old Old Town Bar & Grill on Eureka's Second Street, was badly damaged during our Jan. 9 earthquake. Following "the higher you are, the greater the sway" rule of thumb, some 60 feet of parapet at the top of the eastern wall broke off and crashed into the adjacent building below (see photo). 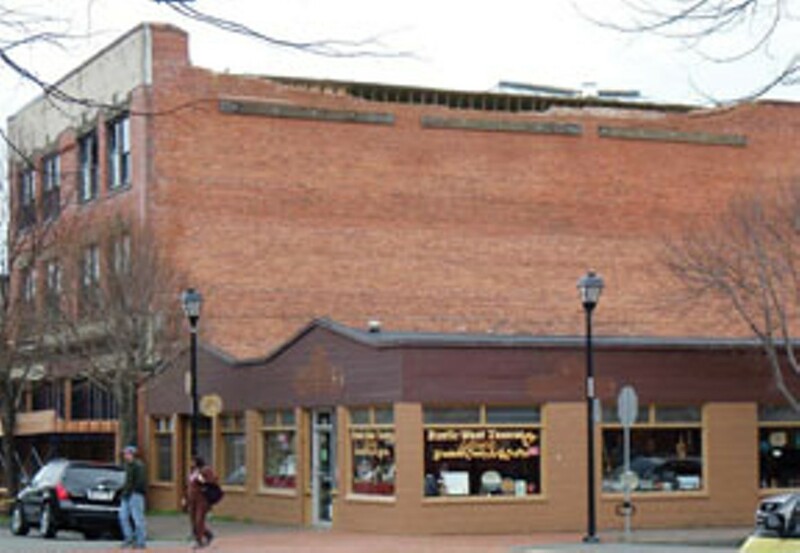 The structure is one of nine on the city's unreinforced masonry (URM) building list. Since unreinforced cement has very little resistance to tension, a good shake can crack the mortar that bonds the bricks to each other, potentially leading to collapse. Most structures are subject to forces of compression and tension. The top of a bridge beam, for instance, is in a state of compression, while the bottom is in tension. Normally the walls of a URM building are in compression, each brick being squeezed by the weight of bricks above. In an earthquake, ground movement produces "bending moments" in the walls, generating tension where seconds earlier there was only compression. Hence the failure of the parapet of Old Town Bar & Grill. Two days after the earthquake, the Eureka City Council voted at a special meeting to approve demolition of the building. Enter local developer Kurt Kramer, who has experience with bringing several local URM buildings up to code. Believing that the structure was salvageable, he had a seismic engineer confirm that a retrofit was structurally and financially viable. A week later, Kramer was the new owner. Despite the failure of many URM buildings in the 1906 San Francisco earthquake, it took another 27 years for the California legislature to prohibit the building of new ones. Much later -- 1986 -- State law ordered all URM buildings to be retrofitted, a costly and time-consuming process that continues today. The basic idea of a seismic retrofit is to tie together all the parts of a building, so everything moves as a single unit in the event of a "shake." One of two basic methods is normally used on a building like Old Town Bar & Grill: installation of a steel framework within the old structure, then tying the old walls, floors and roof to the new steel; or strengthening existing walls by laminating concrete-and-rebar "mats" against their inside surfaces. Both options are currently under investigation. "This is part of Eureka's history -- we just can't tear it down," says Kramer. "She's got many good years left in her!" 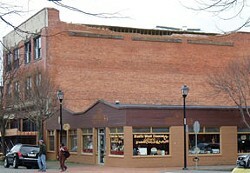 After serving as a harness and tinsmith shop (its original use), beer hall, dance hall, antiques center, roller skating rink, radio station and most recently Lazio's restaurant and Six Rivers tavern, the building might now become a poster child for how to retrofit a century-old URM structure. Barry Evans (barryevans9@yahoo.com), who lives a block away from the old girl, hopes to have a few good years left in him too. 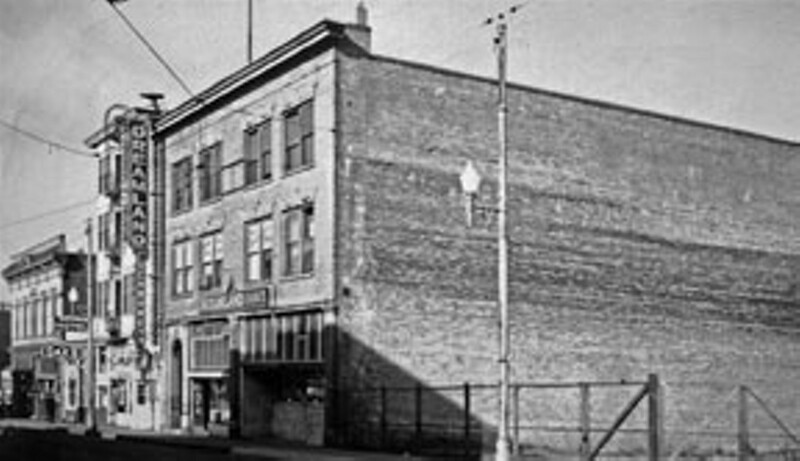 CAPTIONS: (1) East wall of the Old Town Bar and Grill building, showing the missing parapet [author photo]; (2) The building in an earlier incarnation [courtesy Humboldt Historical Society].